Brand new in 2017 this garden vase is taller than wider, similar to what we call a cigar jar shape. It's smooth lines and the no rim opening simple design work in all kinds of landscape decors. From contemporary to classic this is a timeless design. 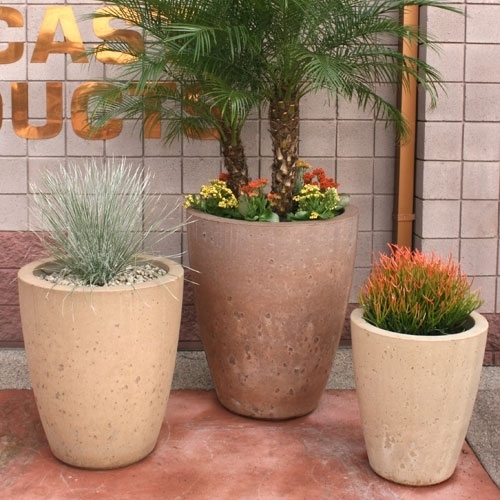 Fill with colorful flowers, trailing vines or a palm pushing up to the sky. They will all look fantastic.